It’s easy! You may register by mail, over the phone, or online. To register by mail, simply complete a registration form, then mail it, along with your deposit, to the address at the bottom of the form. To register by phone and pay by credit card, call (toll free) 1-800-765-1651. To register online, go to www.iaumc.org/camps, or to any of the individual camp’s websites. Once registered, you will receive an event welcome packet filled with all the information you need to prepare for your camping experience! You can also find all of the information contained in the packet right here on this site! Is there financial assistance for my children to attend camp? Yes! To apply for a campership, contact your local United Methodist Church or contact us at camp. Our friendly staff will be happy to assist you. Also, receive an extra $25.00 for each additional family member who attends camp. Any camping event they choose! I see that the age ranges for week-long camps is 9 years old to 16 years old. Does that mean campers of all ages will be all together doing the same activities? No. As always, campers of many different ages may attend camp during the same week, giving families flexibility when scheduling their camp time. Once they arrive at camp, campers are grouped into cabin and activity groups based on age and gender (for more specifics on cabin groupings, see cabin group FAQ below). For activities, campers choose from an age-specific list for their Journey time. A 9-year-old’s list of Journey choices would not be the same as the Journey list for a 12 or 16-year-old. The camping choices look much different than a few years back. Why can't I find the events I'm looking for? We are very excited about the changes that are happening at camp this year! In the past, we’ve offered numerous events, all focusing on a main theme/activity. Now, we are offering campers more choices than ever through our Journey program! Rather than picking only one focus area/activity, campers choose 3 areas to focus on during their time at camp. All the camp theme favorites are there…video games, high ropes, extreme water and much more! Also, since all Journeys are offered every week, campers have more flexibility when scheduling their week of camp – their favorite activity will always be going on! We also are offering Specialty Camps, for those extra activities like Amusement Park trips or Go-Karting. Campers attending Specialty camps will also get to participate in Journey selections, but may be able to choose only 1 or 2 to allow for their Specialty activity. What is a typical daily schedule for a camper? A day at camp includes many adventures! Campers spend mornings in their journeys, afternoons doing activities as a cabin group and evenings enjoying all-camp activities like campfires, large group games, talent shows and the famous Rock-a-Boji! Most importantly, campers spend their day being nurtured by caring and supportive staff, making new friends, growing in their faith, gaining confidence as they try new activities and learning new skills. Typically, campers experience various opportunities including swimming, archery, Bible study, horse rides, canoeing, hiking, wagon rides, crafts, water sliding, campfire, worship, sports and games. Contact us here at camp for specific information on daily schedules and specialized activities for the event you’ll be attending. Cabin Activities i.e.waterfront, challenge course, crafts, etc. All Camp Activity i.e talent show, all camp games, rock-a-boji, etc. Can my camper choose what he/she does at camp? Yes! In addition to the daily adventures every child experiences while attending camp, campers attending week long events also have the opportunity to choose focus areas, called Journeys. At the start of their week at camp, each camper will select three age-specific Journeys in which they would like to participate. During the week, campers will focus on their three selected Journeys each morning, for approximately 40 minutes each. This gives each camper the opportunity to choose activities that really interest them! Journeys help make a campers Okoboji experience the best it can be! Each Journey time builds on the previous session, encouraging campers to take their new skill to the next level. Journeys are held in small groups and led by trained and experienced staff. Have even MORE opportunities to make friends as they’ll be in their cabin groups, plus 3 different journey groups! How does my camper sign up for Journeys? On your first day of camp, sign-up for which Journeys you’d like…then do them EVERY FULL DAY OF CAMP! How is my child's camp counselor hired, trained and supervised? Do you do background checks on all staff including volunteers? Prior to employment at any Iowa United Methodist Camp, all staff are screened, interviewed and receive state, local and federal background checks. Upon employment, all staff receive extensive training and are supervised and evaluated throughout the entire summer by qualified on-site leadership staff. Most staff members also receive additional specialized training, including certification in American Red Cross First Aid/CPR. Volunteers receive background checks, abbreviated training, and consistent oversight by on-site leadership staff. How are campers grouped into cabins? Campers are grouped into living groups based on age and gender, while always maintaining strict camper to staff ratios. Campers may request up to one cabin mate. We do our best to honor requests. To request a cabin mate, simply complete the appropriate sections on your registration form. After you register for camp, you will receive an event welcome packet which includes a detailed packing list. Generally, campers need to bring clothing for each day of camp (rainy/cold days too), swimming suit, towels (beach/pool and shower), sandals and closed toed shoes, sleeping bags or sheets, a flashlight, toiletries like toothbrush and toothpaste, soap, shampoo, camera, their Bible and stationary to write home. You can also download and print a packing list here. Please contact us if you have additional questions about what to pack. How is your camp prepared for severe weather? What are your storm policies and procedures? Camp staff are trained in safety procedures in the event of severe storms, including flooding and tornadoes. Okoboji has a below ground storm shelter where campers can gather when there is a tornado warning. Okoboji also stays closely connected to weather watch and warning sources, including NOAA weather radios, local news stations and local law enforcement. We take homesickness seriously. We train our staff and plan our program in such a way as to help avoid homesickness. At Okoboji, we create the most nurturing, comforting environment possible, and with all of our unbelievable activities, most children are able to overcome their homesickness quickly. However, there are a few children every summer who are unable to shake homesickness. If this happens, one of our leadership staff will contact you. Can I get in touch with my camper in the event of an emergency? In the event of an emergency, contact us here at camp, day or night. If you are calling after office hours, detailed contact information will be available on the camp’s answering machine or voicemail. In an emergency, we will locate your camper and deliver your message or have them return your call as soon as possible. What forms or paperwork do you need before my child attends camp? Each parent/guardian is required to complete a Camper Health History & Authorization and a Release of Liability form prior to check-in for each camper attending camp. At check-in, please have your signed forms, along with any medications needed during camp. You will receive copies of all required paperwork in your event welcome packet. We also encourage campers and families to complete a get-to-know-ya page (also included in your registration packet). Additional copies of all information are available on this website. Is your camp accredited? What does this mean? 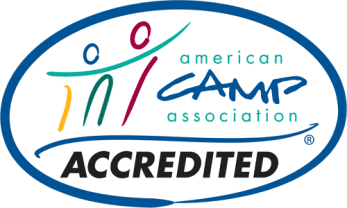 Lake Okoboji United Methodist Camp is accredited by the American Camp Association (ACA), the national accrediting body for camping programs and a leader in childhood development, education and welfare. To earn accreditation, Okoboji complies with up to 300 health, safety, and program quality standards. Across the country, only one in four camps seeks and earns this distinction. Lake Okoboji United Methodist Camp regularly review every facet of our program and operations. Does the camp offer insurance for my child? Every camper that attends an Okoboji camping event is covered by supplemental accident insurance. This policy covers medical expenses, not already covered by a participant’s own health insurance, that result from accidents or injuries occurring while at one of our events. If a participant is not covered by health insurance, our insurance program will cover all expenses up to the limit of our policy. What if I have questions as I prepare for my or my child's time at camp? You are welcome and encouraged to contact us at anytime! Okoboji contact information is listed in the front of the catalog or right here.